The next time someone says “Surprise me”, when you pose the question, “Where should we eat today?”, show them this list. Food is one of the best experiences one can have, because regardless of one’s age, gender or nationality, meals are a necessity, and a unique dining experience can no doubt enrich one’s life and make it all the better. Here are 13 unique ways to have your meals in KL, and these are the ones you should definitely ‘jio‘ your friends for! Having one of your senses suppressed would certainly give way for the remaining ones to work at their highest potential. Perhaps that is why Malaysians adore the dining in the dark experience provided by a restaurant with the same name. 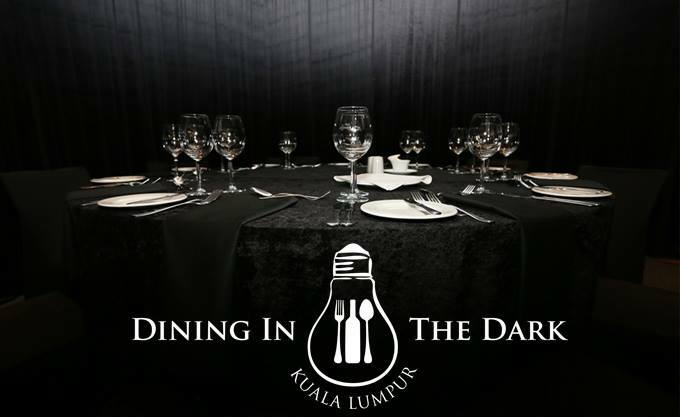 Dining In The Dark KL (DITD KL) allows one to sample their meals whilst in pitch black darkness, and when you are deprived of your sight, certainly your taste buds would work at its peak level. Interestingly enough, the waitstaff at DITD KL are also visually impaired, and dining here would allow one to have a genuine insight into their lives, and get a taste of what it’s like to dine in their world. Address: 50A Changkat Bukit Bintang, 50200 Kuala Lumpur. We feast with our eyes before we even taste our meals and that is a concept which Pop Up Dining KL wisely leveraged on. Their restaurant does not have a permanent address but it has a permanent waiting list for obvious reasons. Their aesthetically beautiful meals are truly what Instagram food shots are made for, and they aren’t just beautiful to look at, for much effort has been poured lovingly into their recipes. 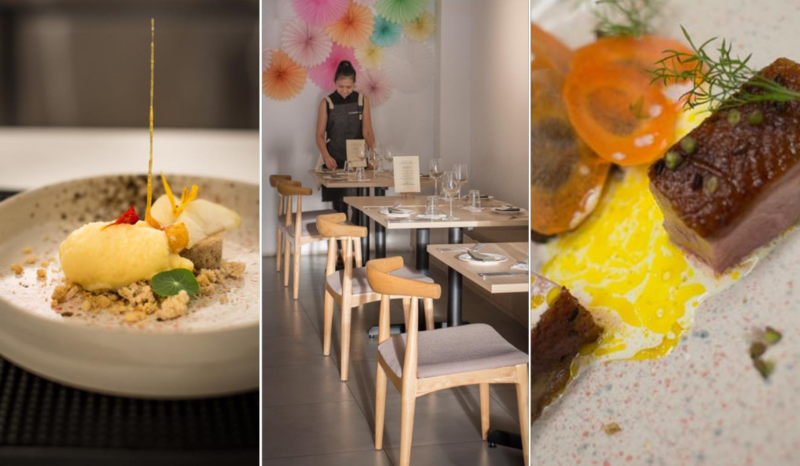 This is due to the fact that the menu and location for Pop Up Dining KL is ever-changing and this certainly keeps chefs Daniel, Amanda and Miki on their toes, depending on what cuisine they are looking to experiment with next! If pork is something on your must-have list then you’ve come to the right place. El Cerdo and El Cerdito is a restaurant which has spent 9 years perfecting their art, and you can taste their labour of love in their bestselling dishes of crispy pork knuckle and Spanish Paella. Flipping through the menu would allow guests a glimpse into just how they incorporate porky flavours, from nose to tail. After all, the saying “nothing goes to waste” is something which El Cerdo and El Cerdito practices with their meals. They also practice a tradition with their suckling pig dish whereby one cuts pork with their plate and later breaks the plate, all for good luck. Saturday: 6pm-11pm; Sunday: 12pm-2:30pm, 6pm-10:30pm. Address: 43 & 45 Changkat Bukit Bintang, 50200 Kuala Lumpur. Hope you’re not afraid of heights, because Atmosphere 360 offers a dining experience 282m above the ground. It is located in one of the highest towers in Southeast Asia, which is Menara Kuala Lumpur. 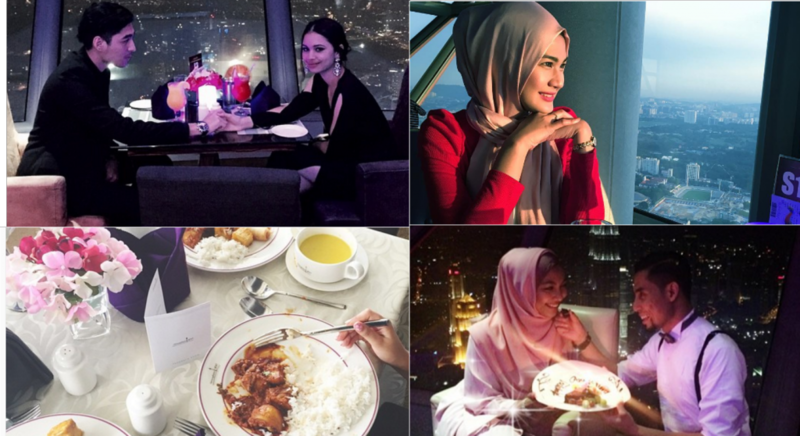 Here’s where you can get a meal with a view, because whichever way you look, you’re bound to catch a wonderful glimpse of KL! Take your time and enjoy your meal as the restaurant rotates to give you a complete view of the city. It also rotates at a slow pace, so you would wind up with a completely different view from the start to end of your dining experience. Address: TH-02, Menara Kuala Lumpur, No.2, Jalan Punchak Off Jalan P. Ramlee, 50250, 50250 Kuala Lumpur. Fancy being surrounded by fresh orchids? 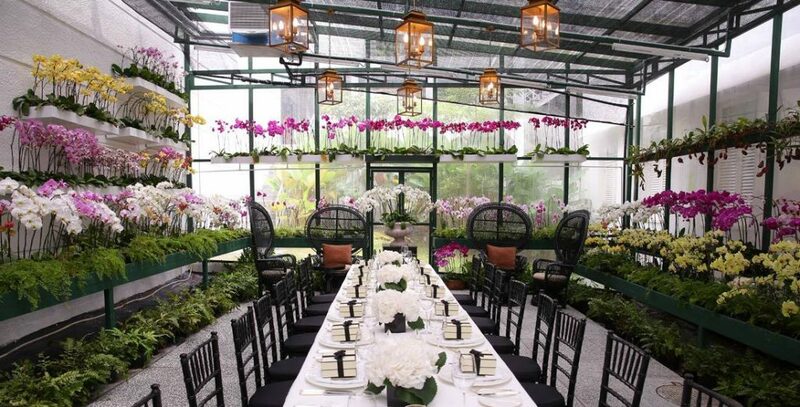 Then head on over to the Orchid Conservatory located in Majestic KL! You might just feel like you have been transported to an indoor garden, complete with waitstaff dressed in their finest white suits. Pamper yourself with a luxurious menu complete with tea and cakes, as you experience what it feels like to be transported to a classic English tea party. 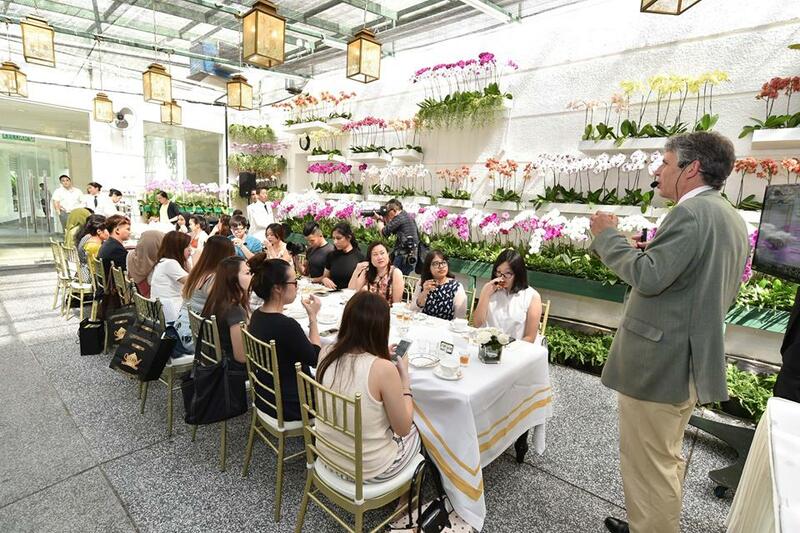 The flowers remain as the centre piece of Orchid Conservatory KL and you get to feast your senses, whether it’s the olfactory, taste or sight, at this indoor garden. Address: 5, Jalan Sultan Hishamuddin, 50000 Kuala Lumpur. 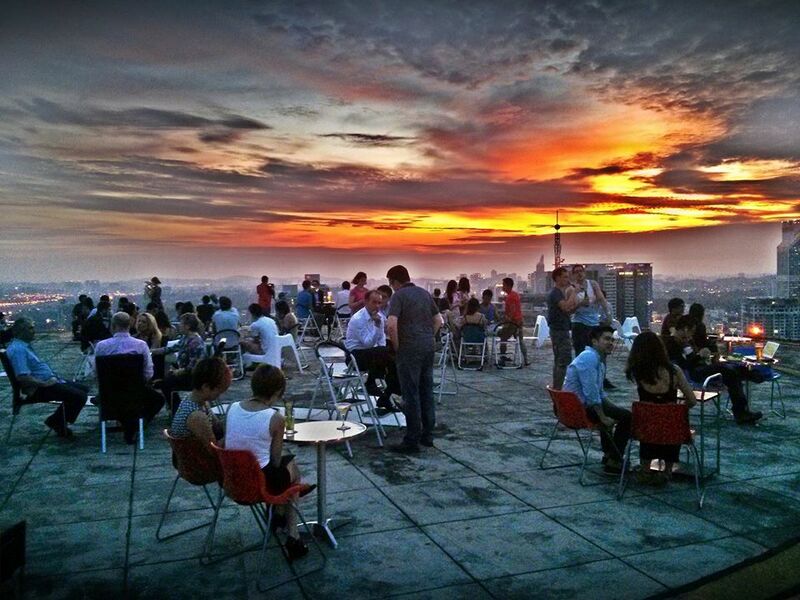 Here’s a rooftop dining experience you won’t soon forget! It is essentially a rooftop dance club with an aeronautical theme. They have incorporated the likes of a Boeing 737 side panel, a DC9 turbine, as well as a 3 blade propeller and Beaver model airplane as part of the experience of lounging at this bar as well. This dining experience is one you won’t soon forget and it is advisable to come here before sunset, so you could enjoy watching the blazing orange ball descend against the skyline—all with a drink in hand. Bottoms up! Hours: Monday-Wednesday: 5pm-12am; Thursday: 5pm-2am; Friday-Saturday: 5pm-3am; Sunday: 5pm-11pm. Address: Menara KH Building, 50250 Kuala Lumpur. Sometimes, the hectic hustle and bustle of daily life is what you wish to step away from, but you need not leave the city just to experience that. At Tamarind Springs Restaurant, you would find yourself transported to the calming greeneries, as you tuck into some sumptious Thai cuisine. 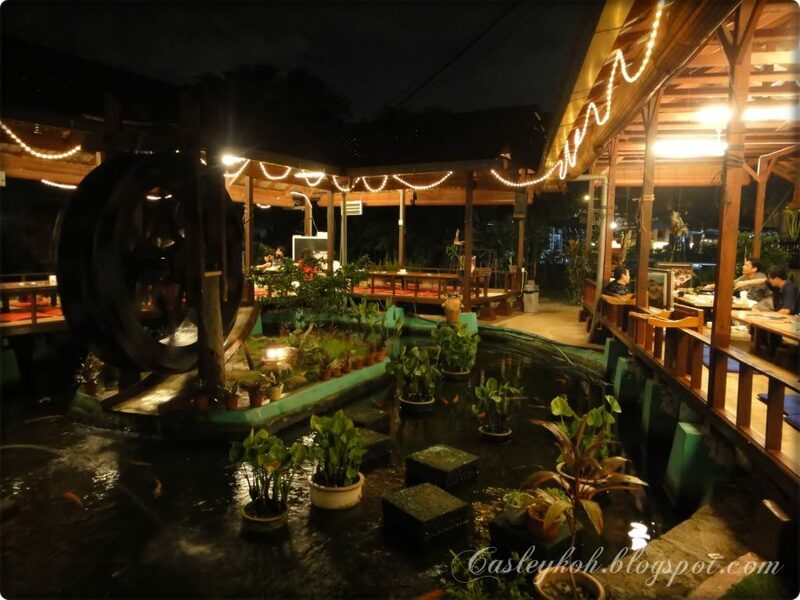 Interestingly, Tamarind is also a popular rustic wedding venue and it is essentially a restaurant at the outskirts of a jungle. Look hard enough and you might even spot a wild animal or two! Address: Jalan 1, Taman T.A.R., 68000 Kuala Lumpur. The Thai Fish Farm is exactly what its name implies. 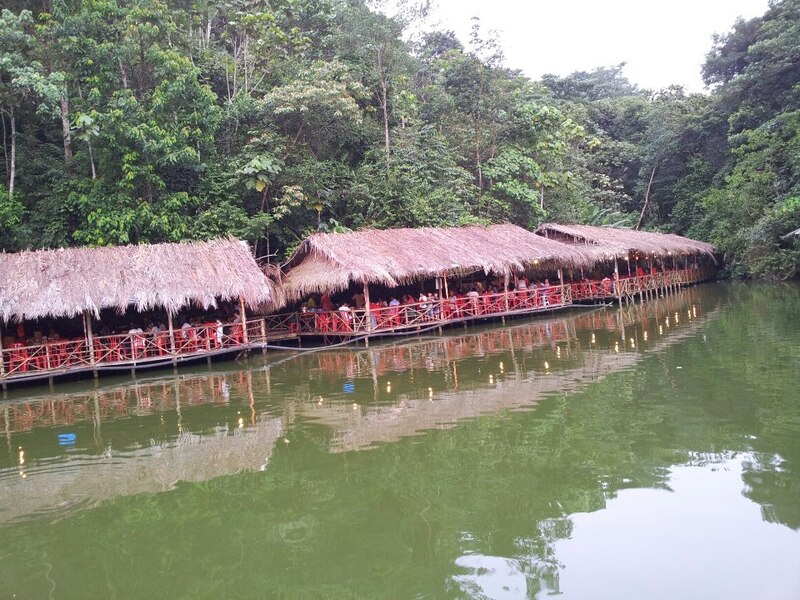 It is a restaurant where one can dine right next to a fish farm! Overlooking a large body of water, go ahead and have their signature Thai dishes whilst being surrounded by the calming lake. Besides sampling fresh seafood, the Thai Fish Farm is also known for their fresh, organic vegetables. Their vegetables are grown in a pesticide-free environment and it is part of the restaurant’s initiative to promote a healthy lifestyle. Address: KM4, Jalan Ampang – Hulu Langat, 68000 Ampang. Foodies have said how good meals heals the soul, but Martin Kary Salt Cave is a venue which is touted to relieve respiratory illnesses, aid skin disorders as well as strengthen immune system due to the salt cave therapy (halotherapy) experience which it provides. Besides the cool Flintstones-like dining experience, enjoy the raw cuts of sashimi here which could very well rival other authentic Japanese eateries! Address: 3A, Ground and First Floor, Block H, Jalan Solaris 5, Solaris Mont Kiara, 50480 Kuala Lumpur. 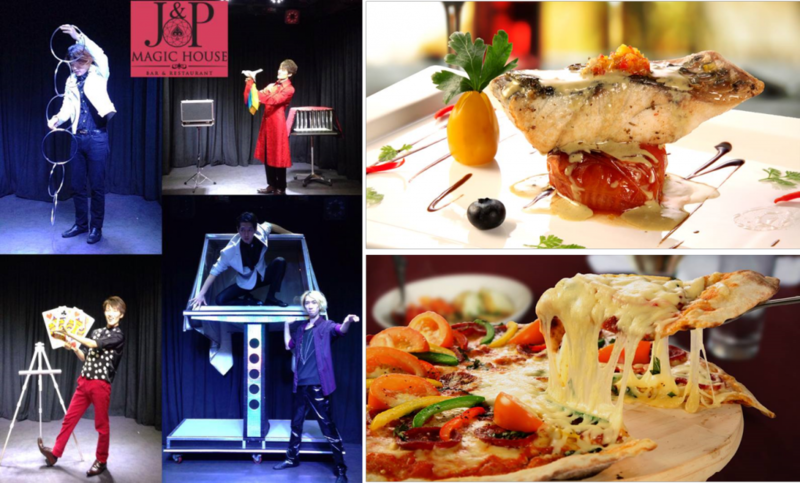 If you fancy having magic tricks alongside your meal, then J&P Magic House Bar & Restaurant is the place to be. 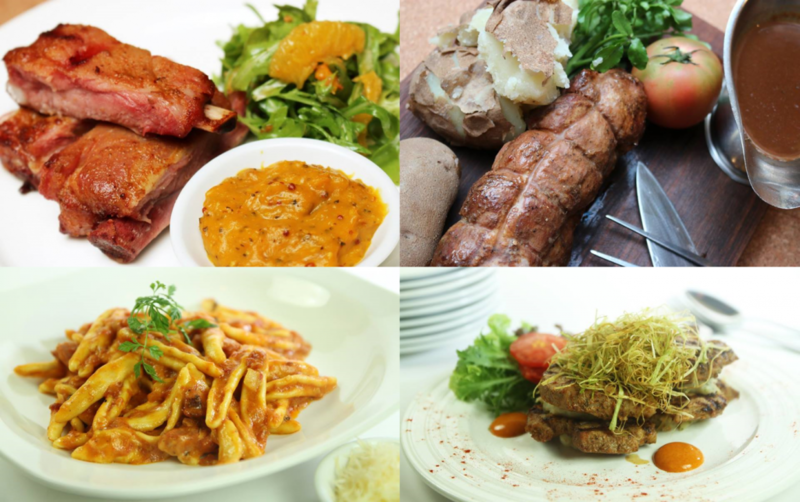 There are those who enjoy not just a side dish with their main meals, but some side entertainment as well, and that is why J&P is a hit among KL-ites. The magic shows commence once during breakfast, as well as twice during dinner time, at 8pm and 10pm. So go ahead and be amazed by the magicians’ sleight of hand and the meals as well! Hours: Monday: 8am-11am; Tuesday-Sunday: 8am-11am, 6pm-2am. Address: 19, Jalan Berangan, 50200 Kuala Lumpur. Be ready to be transported back to the olden days when you dine at Subak. To find the eatery, look for large, rustic gates and twisting vines. 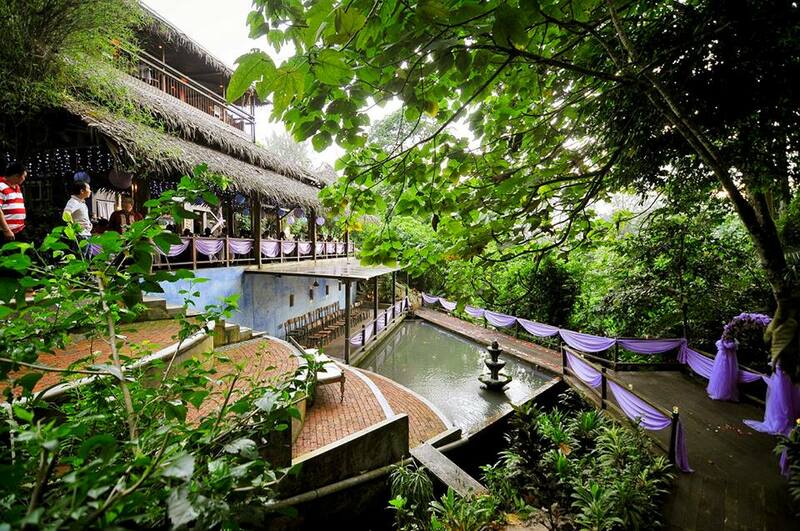 Once you travel past these features, you would spot the restaurant nestled amidst nature. It is hard to miss out on due to the abundance of greenery surrounding it, and if you are looking to have a peaceful meal, why not try Subak? The place is built with Balinese culture in mind and you get to wind down as you enjoy the soothing sounds of trickling water from their fresh water springs too. Address: Lot 3213, Jalan Penchala Indah, Bukit Lanjan 60000, Kuala Lumpur. Saturday mornings are meant for cartoons and some colourful cereal. That might have been your reality when you were a kid, but kid-friendly café Like Cereals-ly is bound to evoke those well-hidden childhood memories just the same. They have an abundance of cereals in store, some even unavailable in Malaysia. Walking into their store, you might just find yourself grinning from ear to ear, and the only problem that you would find with Like Cereals-ly is that you would be spoilt for choice. 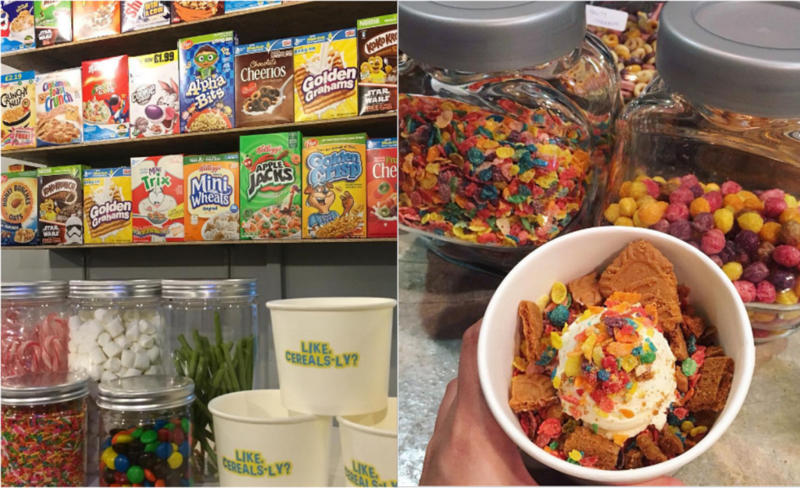 Cereal cafés are aplenty abroad, but considering how Like Cereals-ly is one of the cereal pioneers in Malaysia, it’s about time you pay them a visit! Address: Republik Awan Café, Damansara Perdana. 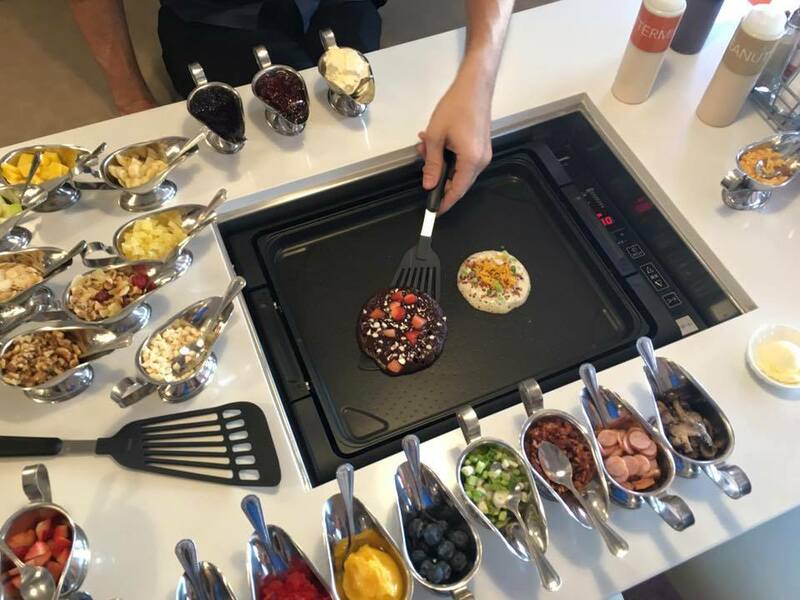 Slappy Cakes is a restaurant which allows their customers to be their very own chef and creator. They were once located in Solaris, but are in the midst of relocating to Sunway Pyramid. 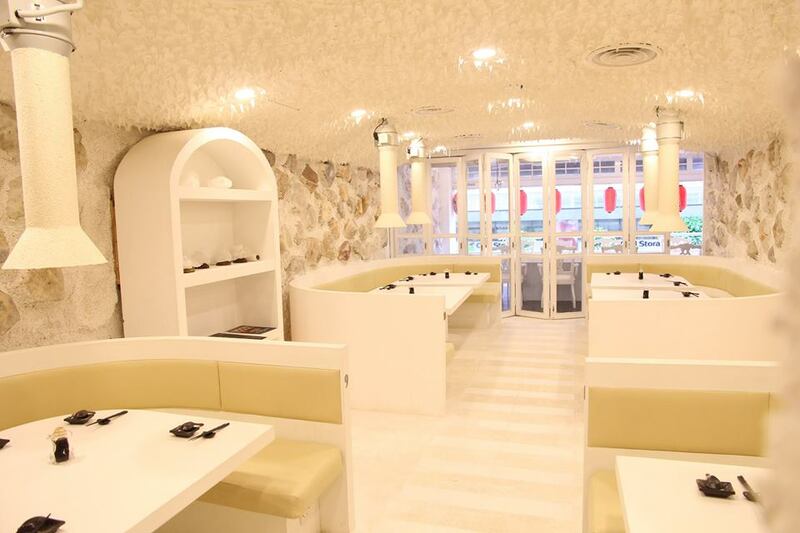 It’s another kid-friendly eatery and it is the perfect place for you to work on your arts and craft—and eat it too! With a built-in griddle right before you, savour the chance to experiment with different pancake designs and then top it off with your choice of flavours, whether fruity or chocolatey—it’s all up to you!